Your Entrelac Tote came out great! I really want to do that one, but the list of want-to-do is very long. I admire your work for CIC. You've done a great job on your Olympic projects. Congratulations! Love all your finished projects. Great work as always!!! The entrelac turned out really well. Do you think you might do entrelac again? Great job!! Love the tote. Entrelac is so intriquing ... it is on my list of things to do. Congrats on the CIC mitts ... Woo-WHOO! Love your CIC mitts. The crochet looks very pretty and, most important, very warm. 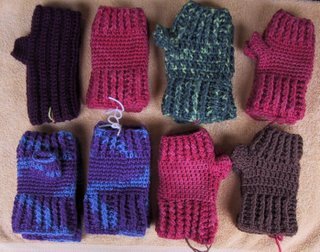 I don't think we (the CIC_Knit List) are going to have any trouble hitting the 150 goal for mitts, do you? Your projects look great. I love your Entrelac Tote, and hope to try your crochet mitts pattern soon! Good Job, Suzie. I love the entrelac tote and thanks for the warning. I love the way it looks, but working in ends is my absolute worst knitting task. I think I will just learn to like other people's totes! Nice bag -- and congrats on finishing three times. I alas, didn't finish at all. 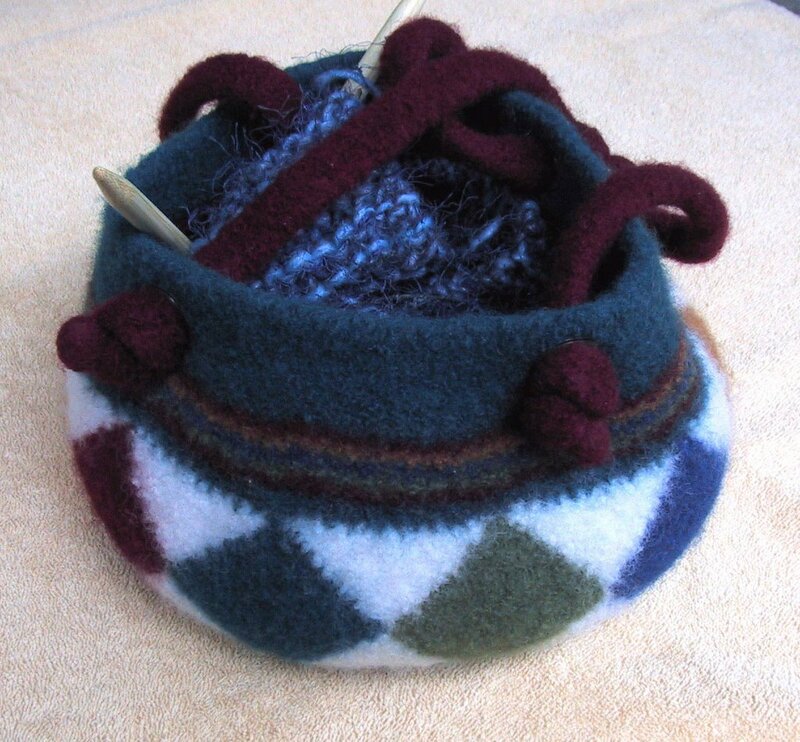 Love your Entrelac Tote - especially the color combination and contrast!! 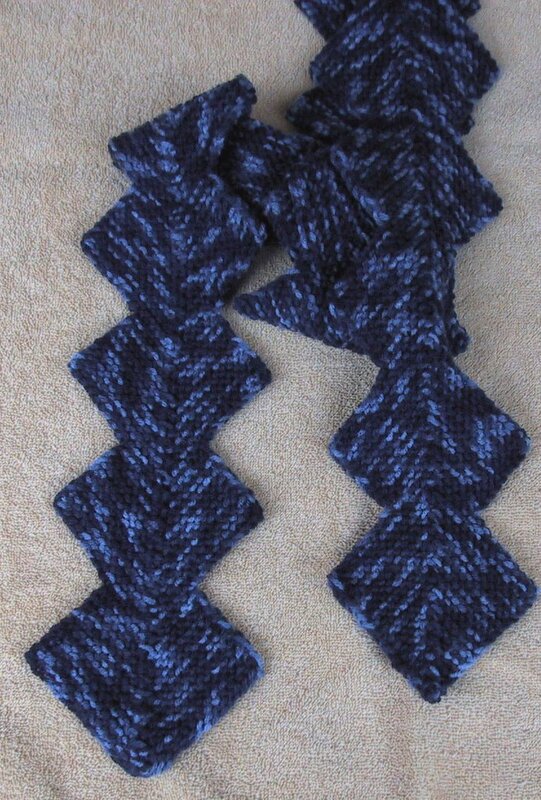 Isn't Entrelac fun, once you learn it? Wow, great job! The tote looks magnificent. Love the scarf and mitts too. Great work. Entrelac is one of the techniques I hope to try soon.